Former White House aide Omarosa Manigault Newman says that she's "certainly" willing to share recordings from her time in the Trump administration with special counsel Robert Mueller, and that his office has already reached out to her. Manigault Newman appeared Monday on MNSBC's "Hardball" as part of her ongoing press tour for her new White House memoir. Asked by host Chris Matthews if she has tapes from her time working in the Trump administration beyond the two she has shared publicly in recent days, Manigault Newman said, "I have plenty." "Anything Mueller would like to see?" Matthews asked. "If his office calls again... anything they want I'll share," Manigault Newman responded. "Anything that they want, I'll certainly cooperate." [post_ads]The ex-communications director for the White House's Office of Public Liaison did not elaborate on what her previous interactions with the special counsel may have involved. Asked if she believes Trump will be impeached, Manigault Newman said "at this point, yes." Mueller is investigating Russian interference in the 2016 election, and has thus far obtained more than 20 indictments. Trump frequently bashes the investigation as a "witch hunt." Manigault Newman, who rose to fame on "The Apprentice" and was fired from her White House job in December, appeared on NBC's "Meet the Press" on Sunday where she revealed she secretly taped chief of staff John Kelly in the situation room during her firing. The existence of the recording shocked government officials and national security experts, who noted it was a breach of protocol to bring recording devices into the secure space. Manigault Newman has declined to reveal how she made the recording without being discovered. A second tape was made public on Monday morning that contained audio from a call between Manigault Newman and Trump. On the call, Trump expresses surprise and disappointment that Manigault Newman had been fired. Manigault Newman's book, "Unhinged: An Insider Account of the Trump White House," contains a number of explosive claims, some of which are unverified. She alleges Trump is a racist, a misogynist and a narcissist, and claims he repeatedly used the "n-word" on the set of "The Apprentice." 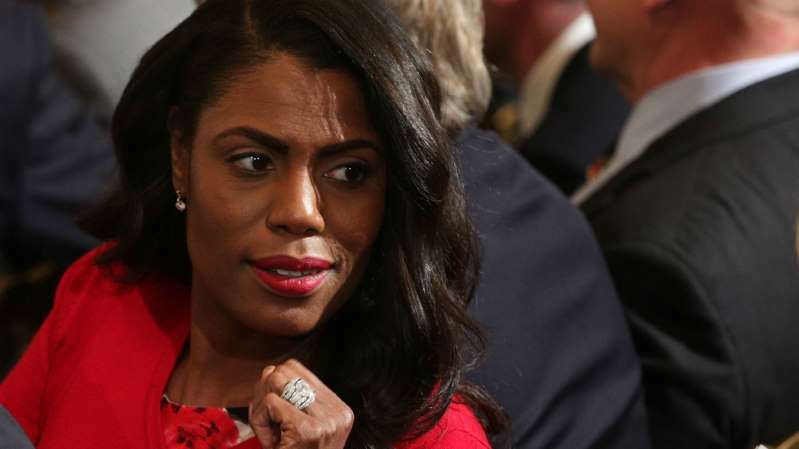 She said Monday that she's heard tapes of Trump using the racial slur to describe Kwame Jackson, a fellow contestant on the first season of "The Apprentice." "It sounded as if he used it every day," Manigault Newman said. She added that she believes the individual who has the recordings plans to use them for political purposes. Trump has called his former staffer a "lowlife" and labeled her "wacky Omarosa." "While I know it's 'not presidential' to take on a lowlife like Omarosa, and while I would rather not be doing so, this is a modern day form of communication and I know the Fake News Media will be working overtime to make even Wacky Omarosa look legitimate as possible. Sorry!" Trump tweeted Monday morning. White House aides have noted that Manigault Newman was previously effusive in her praise of Trump before, during and immediately after her stint in the White House. Upon her departure in December, she denied in an interview that Trump is racist, saying "I would never sit nor work for someone who I believe to be a racist."